The Hellenic Aerospace Industry S.A. (HAI), is the leading aerospace and defense industry of Greece. HAI was established in 1975 having as its major mission to deliver services and products to the Armed Forces of the Hellenic State. By implementing an extrovert strategy during recent years, HAI has achieved to expand its customer base and to establish itself as a reliable partner of the leading aerospace industries globally. Operating with state-of-the-art production processes and highly qualified personnel, HAI offers high performance products and quality services. To be a technologically advanced manufacturer and a financially strong organization pursuing continuous development. 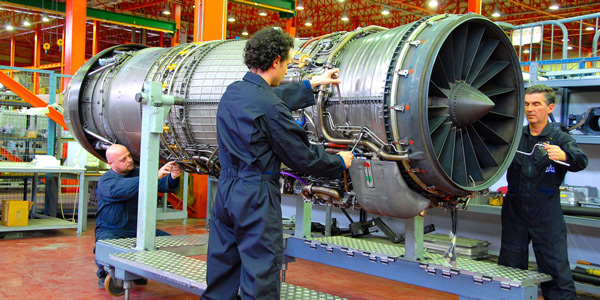 Competitiveness at equal terms towards the leading companies in the aeronautical sector. Sustainable and balanced financial development. Strategic partnerships in the international business environment. Enhancement of customer value chain. Accumulation of know-how aiming at offering added value products and services. A healthy, fair and motivating working environment. Total support for the entire aerial assets fleet of all branches and components of the Hellenic Armed Forces. 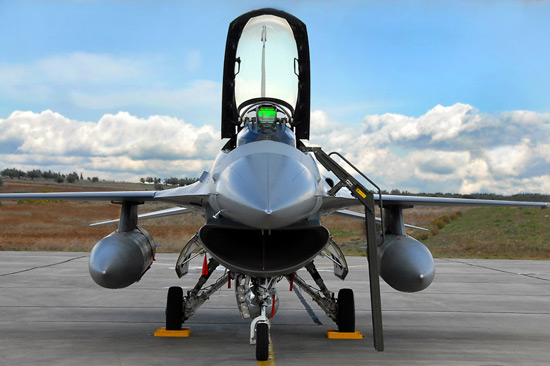 Production of the F-16 aircraft major structural subassemblies (almost 30% of the aircraft fuselage) as a sole source supplier for the global market. Manufacturing and assembly, as a sole source supplier for the global market, of mid and plug panels for C-130J aircraft. Maintenance, repair and overhaul of Τ56 engines for the Royal Saudi Arabia Air Force (RSAF) C-130 fleet. Structural & avionic upgrade (CCIP/FALCON STAR) for 74 F-16 aircraft of the United States Air Force stationed in Europe (USAFE). Participation of HAI in the first European stealth technology demonstrator nEUROn Unmanned Combat Vehicle (UCAV). Development of HERMES II Communications Tactical Network.